Co-curators of the U.S. Pavilion at the 2018 Venice Architecture Biennale, Ann Lui and Mimi Zeiger, will give insight into the curatorial practices and research leading into Dimensions of Citizenship. 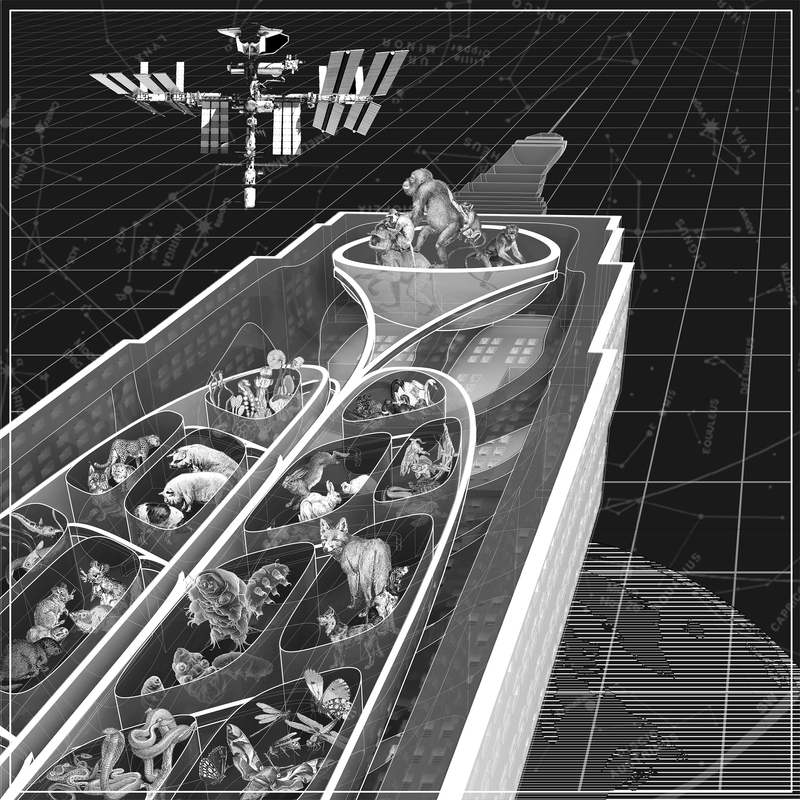 Interrogating the spatial conditions of design and citizenship, their exhibition will present works by architects, designers, artists, and thinkers who are responding to today’s shifting modes of citizenship, and putting forth visions of future ways of belonging. Future Firm co-founder and School of the Art Institute of Chicago professor Ann Lui, and architecture critic Mimi Zeiger, are curating the exhibition along with University of Chicago architectural history professor Niall Atkinson, and associate curator Iker Gil, founder of MAS Context. 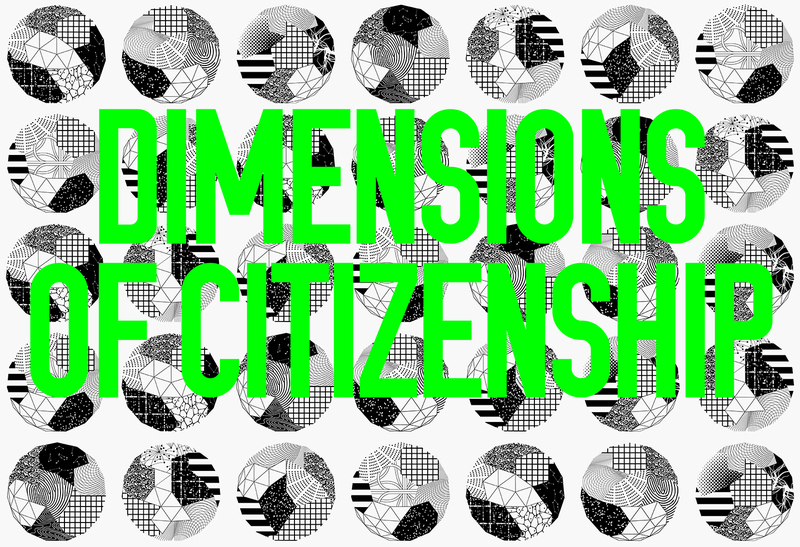 Dimensions of Citizenship challenges architects and designers to envision what it means to be a citizen today. As transnational flows of capital, digital technologies, and geopolitical transformations expand, conventional notions of citizenship are undermined. How might architecture, then, express today’s rhizomatic and paradoxical conditions of citizenship? The US Pavilion explores seven spatial scales: Citizen, Civitas, Region, Nation, Globe, Network, and Cosmos.These scales, telescoping from body to city to heavens, broadly position citizenship as a critical global topic. Installations by architects, landscape architects, artists, and theorists investigate spaces of citizenship marked by histories of inequality and the violence imposed on people, non-human actors, and ecologies. These works do not solve the complex relationships of governance, affinity, and circumstance that bind us. Instead, they use architecture’s disciplinary agency to render visible paradoxes and formulations of belonging. Dimensions of Citizenship, the theme of the US Pavilion at the 2018 Venice Architecture Biennale, co-commissioned by the School of the Art Institute of Chicago (SAIC) and the University of Chicago, challenges architects and designers to envision what it means to be a citizen today. As transnational flows of capital, digital technologies, and geopolitical transformations expand, conventional notions of citizenship are undermined. How might architecture, then, express, and engage with today’s rhizomatic and paradoxical conditions of citizenship? As busy, busy people who move through the world and occasionally need to sit still, we have a tacit understanding that furniture should be, if not comfortable, at least neutral — ready to accept the buttocks of any size, gender, race, or orientation. Beautiful designs tempt us into repose. However the conceit of universal design is upset when we are forced to recognize that not all bodies fit in or are supported by the most elemental of objects. So when, earlier this year, Hunger and Bad Feminist author Roxane Gay was fat-shamed for requesting a chair sturdy enough to support her frame and outcry ensued against this affront on body acceptance, I was also shocked by how a simple function — sitting — could be weaponized against bodies. It’s with Gay’s incident in mind that I approached maneuvering my wide hips into the dimensions of Frank Lloyd Wright’s Barrel chair. Low ceilings are generally cited for the architect’s famous disregard for bodies other than his own, his sense of scale being modeled on his (alleged) 5-foot-8-and-1/4-inch height. Designed in 1907 as part of the custom furniture of his Gesamtkunstwerk, Darwin Martin House in Buffalo, the Barrel chair is one of his most popular designs, often replicated in its nearly circular geometries. Settled into a reproduction of its oak corseting and obliged thereby to adopt a morally good posture, I imagine other people, other soft bits, shifting uncomfortably against the constraints of universality, yet comforted by the allure of an icon. On "The Arsenal of Exclusion & Inclusion"
“Armrest” appears early on in The Arsenal of Exclusion & Inclusion (Actar). The encyclopedic volume by Tobias Armborst, Daniel D’Oca, and Georgeen Theodore with Riley Gold (plus contributions from a host of architecture, urbanism, and planning notables) begins with “Accessory Dwelling Unit” and ends with “Youth Curfew,” but it is the armrest placed on a public bench to ward off unsanctioned sleeping that most efficiently summarizes what’s at stake throughout this 459-page book: access, control, and space. 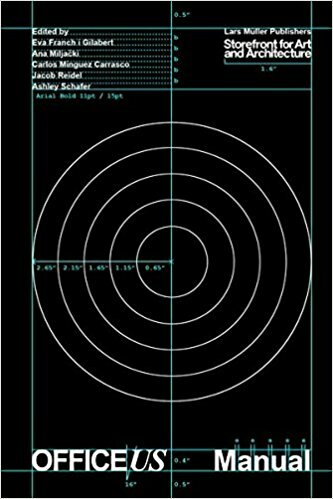 Office US Manual is a critical, occasionally humorous, and sometimes stupefying guide to the architectural workplace. The third publication of OfficeUS, this book presents office policies and guidelines spanning the last one hundred years alongside commissioned statements by contemporary contributors, original graphic analysis, and images from The Architects by Amie Siegel. The Manual is a resource for understanding—and reimagining—the nature and design of architectural practice. The Guggenheim Bilbao marks a temporal point as much as a geographic one—more so than Richard Meier’s Getty Museum, which opened in the same year, or any of the works by Sverre Fehn, who won the Pritzker in 1997, Gehry’s museum embodies a moment where architecture moved from a local to a global condition. This is true of both the strategy of the kunsthalle-like space deployed into an undervalued urbanism with hopes of sparking renewal, and technique—early CATIA-generated forms soon to be a benchmark for expressive architecture. Looking back at this moment in time, I wouldn’t say that the Guggenheim was part of the zeitgeist, but rather it actually presaged 21st-century conditions as it fused technology and globalization.